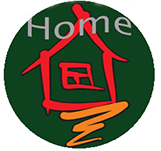 Founded and invested by the Prime Group International. With the official approval from the Ministry of Education, PRC, Shanghai Singapore Int’l School was officially opened on 3rd September 1996 with the consultancy from the Singapore Teacher’s Union. SSIS provides Preschool Program (3-6 yrs old), Primary Program (7-12 yrs old), IB Middle Years Program (13-16 yrs old) and IB Diploma Program (17-18 yrs old) to expatriate children in Shanghai. 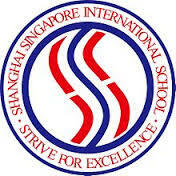 SSIS offers a balanced and unique curriculum in line with the educational policies of Singapore. The Singapore-based curriculum offers a bilingual education in English and Chinese, with Mathematics, Science & Technology and Humanities (for the Secondary students) as core subjects. Information Technological skills and Interdisciplinary Project Work are infused into the curriculum. Other subjects include social studies, health education, music, arts, Speech and Drama. Besides providing a firm academic foundation, SSIS also emphasizes character education though moral education and the provision of an extensive co-curricular activities program. Objective: The school will provide a sound Singapore-type education with special emphasis on English Language, Chinese Language, Mathematics and Science. 2. Complete and sign the Registration Form (incomplete forms will not be accepted). – One (1) photocopy of pupils latest academic transcript from the previous school. Note: Receipt of the Enrolment Advice from the Registrar within 7 days of payment towards the Registration Fee. Contact the Registrar should you not have received the Enrolment Advice within the stipulated period. Shanghai High School is located in the southwest corner of Shanghai. Established in 1865, the campus has an overall size of 340 MU (22 hectares), and is historically one of the most well known schools in China and around the world. On June 1, 1993 The Shanghai Education Committee approved the establishment of the Shanghai High School International Division (SHSID). In 1995, SHSID became a member of the International Baccalaureate Organization (IBO). SHSID enrolls around 1816 students from over 50 different nations and regions, including, USA, Japan, Korea, Canada, Australia, Italy, Great Britain, Poland, Iran, India, and Norway. The academic program is 1-12, culminating in the two-year International baccalaureate (IB) Diploma Program for Grade 11 students and above. As an international school in China, SHSID developed educational goals to reflect a traditional background as well as goals to meet the needs of today’s talented students. We are committed to educate students for the challenges of the future. SHSID provides progressive education in a multi-cultural environment; preparing students with global perspectives; and encouraging them to accept responsibilities and become competent in their studies. 1. Obtain an Application Form from the Admission Office. 2. Submit the following documents together with the application fee to the Admission Office. 3. Upon receipt of the above documents and application fee, students are required to take placement examination according to the times scheduled. (Subjects: Chinese, English, Mathematics; Physics are required for grade 9~12; Chemistry are required for grade 10~12, examination includes Oral and Written tests). Those who are in the 7th grade and above, whose homes are beyond the reach of the shuttle bus can apply for boarding. The boarding students are required to come to school from 7:00~8:00 p.m. each Sunday and leave the school on Friday afternoon. During the weekdays, the boarding students are required to participate in the morning exercises and evening self-study class. The dormitory is run by professional dormitory supervisors. SHSID offers shuttle buses service for day students. There is no shuttle bus on the morning of the first day of a new semester, from that afternoon on, school bus service will begin. SHSID has three cafeterias, offering 3 meals a day. Meals are provided for the students at a fixed daily rate. Students may bring their own lunch. Microwaves and refrigerators are available. Située à Shanghai en Chine, l’école française accueille à la rentrée 2006 près de 1000 élèves, de la maternelle à la Terminale. L’Ecole Française de Shanghai (E.F.S) est un établissement privé sous contrat, reconnu par le ministère français de l’Education Nationale (le primaire est conventionné, le secondaire est homologué). L’enseignement qui est dispensé est conforme aux programmes français. Les décisions d’orientation sont valables dans tous les établissements français de l’étranger ou de France. L’Association des Parents d’Éleves de l’école française est une association de droit français et de «loi 1901». Toute personne ayant au moins un enfant dans l’école est membre de l’association des parents d’élèves. L’E.F.S partage ses locaux avec l’Ecole Allemande (Deutsche Schule Shanghai, D.S.S) : la réunion des deux écoles est localisée sur le site de l’Eurocampus. Être de nationalité française ou déjà scolarisé dans le système français. Une pre-inscription ne conduit pas automatiquement à une inscription. Il appartient aux parents de constituer les dossiers d’inscription à partir du site de l’Ecole (téléchargement ci-dessous) et de nous les envoyer au plus vite. * une copie du passeport. frais, un paiement échelonné peut être étudié. Die Deutsche Schule Shanghai ist eine Privatschule in der Trägerschaft des Schulvereins “Deutsche Schule Schanghai e. V.” Die Deutsche Schule Shanghai ist eine vollausgebaute Schule vom Kindergarten bis zur Reifeprüfung: Kindergarten, einjährige Vorschule, vierjährige Grundschule und ein achtstufiges Gymnasium (sog. G-8-Bildungsgang). In den Jahrgangsstufen 6 bis 9 (und ggf. auch 10) bietet die Schule Unterricht für Haupt- und Realschüler an. Die Schule ist von der Kultusministerkonferenz der Länder in der Bundesrepublik Deutschland als deutsche Schule im Ausland anerkannt worden. Die Lehrsprache ist Deutsch. Englisch wird angeboten als erste und Französisch als zweite Fremdsprache. Englische Sprachzertifikate können als Teil des Lehrplans erworben werden. Chinesisch wird als mit 2 oder 4 Stunden als Wahlpfach angeboten.